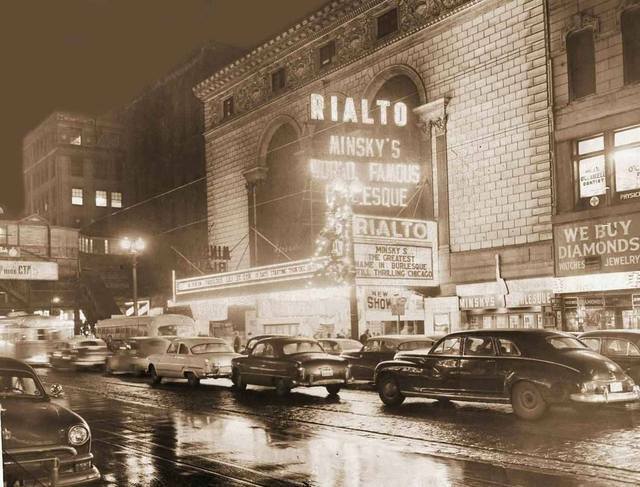 January 1, 1954 – Today’s headline in the Chicago Daily Tribune reads, “Girls Take ‘Em Off for Last Time at Rialto” as Minsky’s Rialto Theater at 336 South State Street, a “strip tease center in Chicago for 35 years” [Chicago Daily Tribune, January 1, 1954] closes its doors after the last show ends at 1;30 a.m. The building will be demolished and a group of one-story “taxpayers” will be erected in its place. The theater opened in 1917 and was designed by Marshall and Fox, the same architects that designed the Blackstone Hotel and the Drake on North Michigan Avenue. It could seat 1,500 when it opened for vaudeville shows, but it turned to burlesque shows in the 1930’s. 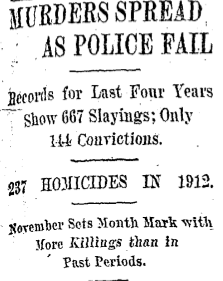 Today it is long gone, along with the one-story shops that took its place. The site is now the home of Pritzker Park on the northwest corner of State Street and Van Buren, a bit of green space facing the elevated tracks and the Harold Washington Library just to the south.